This top quality rack and pinion focuser from Starlight Instruments USA is a direct upgrade to the standard focuser supplied with the Sky-Watcher Esprit-120 and Esprit-150 Super Apo Triplet Refractors. 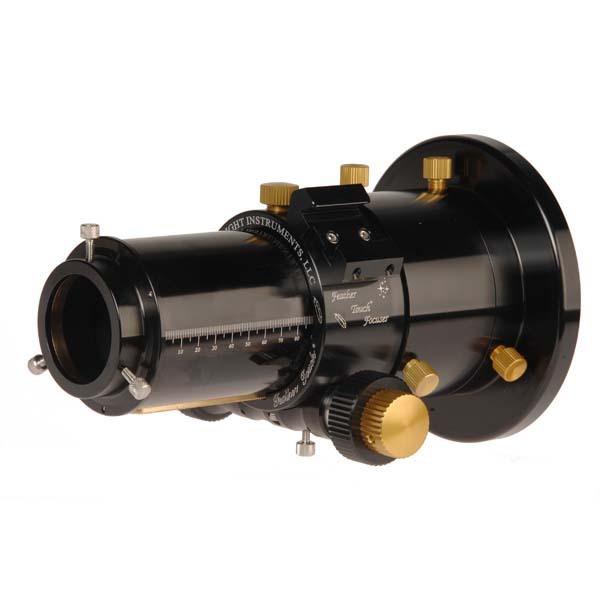 Designed to meet all the requirements of the most demanding astrophotographer. Exactly tailored for the focal length of the Esprit-120/150. Feather Touch® 3.0" Diameter Dual Speed Focuser, 3.5" Draw tube travel, Resistance Brake, Integral TFPE Coupled Rotational Collar, and 2.0" Diameter Compression Ring, Custom coupling adaptor for Esprit-120/150 OTA’s, 3” M65 End Cap for Esprit Field Flatteners.